Naomi is one of the ten new children that Fair Life Africa Foundation adopted into its new Disadvantage to Advantage Initiative. She is a nine year old girl, who lives with her mother in a notorious slum in Ajegunle, Lagos, popularly termed ‘Dustbin Estate’, because the people live on top of rubbish! Literally! Despite this horrible environment, she is thriving and excelling in more ways than one. No wonder she was selected to benefit from our programme, as we are seeking out bright but disadvantaged kids to educate and train to become successful in life. Just three months ago, Naomi wasn’t sure if she would be able to continue her schooling, as she is dependent on her mother’s meager wage as a food seller to keep her in school. Her father, who has more than one wife, doesn’t support the family. Fair Life Africa stepped in after a referral from LOTS Charity Foundation, who focus on the children living in this slum. She was chosen by our social workers to benefit from our programme, and we have settled her first term fees, as well as helped her to get the necessary educational resources, including school books. This Christmas, she had a reason to celebrate! She was invited to join Fair Life Africa at a Charity Festival early in December, and she came along with her mother. She truly enjoyed herself as she danced with the other kids, who were also selected to benefit from the D2A! 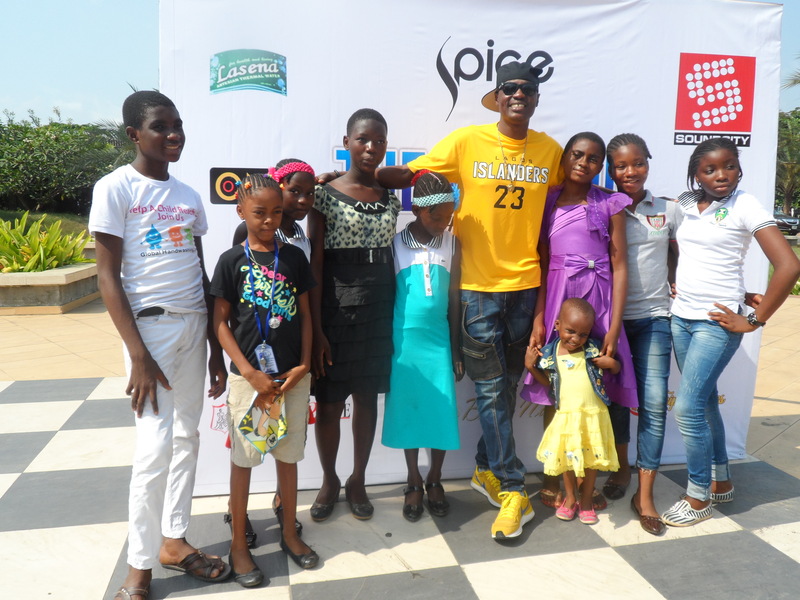 programme, and other less fortunate children that had been invited by the organiser, Mrs Ariyike Akinbobola. Next week Friday, Boxing Day, Santa will be making a special trip to visit her and our other kids at Ajegunle, courtesy of Fair Life Africa. We’ve packed the gifts and goodies in advance and can’t wait to see the smiles on their faces 🙂 It is sure to be fun! If you’re in Lagos, do join us! We will be reporting on Naomi and the other children again soon. We hope you are encouraged to see her smile. She said to wish you a very Merry Christmas too!